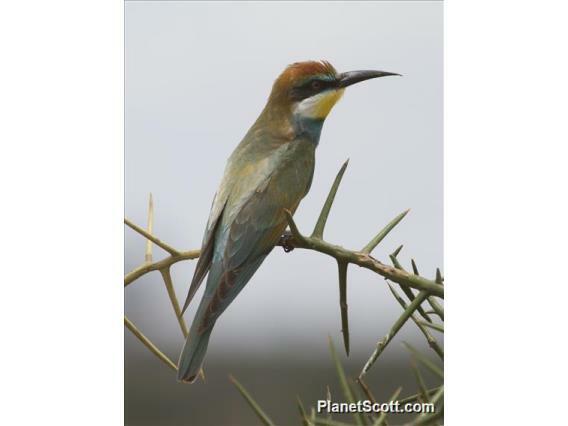 European bee-eaters (Merops apiaster) have a broad distribution covering much of Europe and Africa with range estimates up to 11,000,000 square km. These migratory birds can be found as far north as Finland and range as far south as South Africa, extending east into some Asiatic countries as well. Most commonly, European bee-eaters will breed and nest in southern Europe, then migrate south during autumn and winter.